Motion graphics are some of the most effective learning tools today. Sometimes called explainer videos or animated infographics, these multi-sensory clips deliver information in a high-octane fashion that appeals to all of the learning modalities. Even more powerful than watching an explainer video is creating one's own animation. We recently produced our first, professional-quality motion graphic, called "What Is Graphicacy?" These types of films can teach a lesson or bring a project to life or demonstrate mastery of a concept. Until recently, complex videos like these were the sole purview of trained graphic artists. Now, teachers and students alike can design and publish their own motion infographics with simple, elegant, free interfaces. Adobe Voice has long been one of our favorite apps for making videos, but Renderforest kicks the options and energy up to a higher level. Renderforest is a web tool that offers a range of easy yet powerful templates for producing videos. Signing up for an account is free. Within minutes, you can be publishing your own content. The templates walk a perfect balance between customized choice and preset parameters. You have a range of selections in style and length of video, and you can then select a color theme to unite the presentation. Each slide has text elements that you can personalize, and the magic of Renderforest turns everything into a lively animation. Renderforest: An ultimate Video Maker from Renderforest on Vimeo. Originally intended for business users, Renderforest has enormous potential for education. Its subtle options in are its best. You can pick from its list of background musical tracks, all of which are nice. Or you can upload your own tunes and voiceover. In other words, any recording you have produced can be added to their frames. You can invite students to record podcasts or narrations, or use Garageband to layer original music with audio tracks. The app-smashing potential is tremendous. When you export your finished product, you can easily go back and edit any element. The free option features a basic video quality with a company watermark in the corner. You can, therefore, show student or teacher videos in class for no charge. If you would like to choose from the HD playbacks, or download your film, there are modest pricing options available. We had no trouble designing our video, recording the audio in one take, converting it to HD, downloading it, and then uploading it to Vimeo in a surprisingly brief period of time. This act of creating motion graphics nudges both students and teachers to blend a host of proficiencies. It involves visual design in colors and templates, just as it requires language skills of narration and storytelling. It supports key technological skills in manipulating online media, and it reinforces the importance of publishing in sharing child creations with peers and parents. Kids teaching kids is the purest model of learning. Renderforest allows them to produce permanent instructional videos that can reach global audiences and live on after their own school years have ended. How to create motion graphic videos for free? Renderforest for Business from Renderforest on Vimeo. 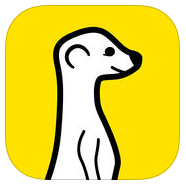 The new Meerkat app has taken the tech world by storm. Especially in the cubicles of Silicon Valley and the newsrooms of political sites, early adopters of Meerkat are trying to figure out how this real-time streaming video app will transform both social media and news reporting. In the run-up to the 2016 presidential campaign, major news personalities have been signing up for Meerkat like their jobs depend on it — and maybe they do. Now, no political candidate is safe from a phone’s camera lens. More than ever before, any citizen solider can become a news maker. Just like the Internet heralded the slow demise of the daily print newspaper, Meerkat may spell the end of corporate news conglomerates. Once you authorize Meerkat, all of your Twitter followers will see your video, live, immediately in their stream. The video is saved on your device, but for your followers, à la SnapChat, the video disappears after airing. 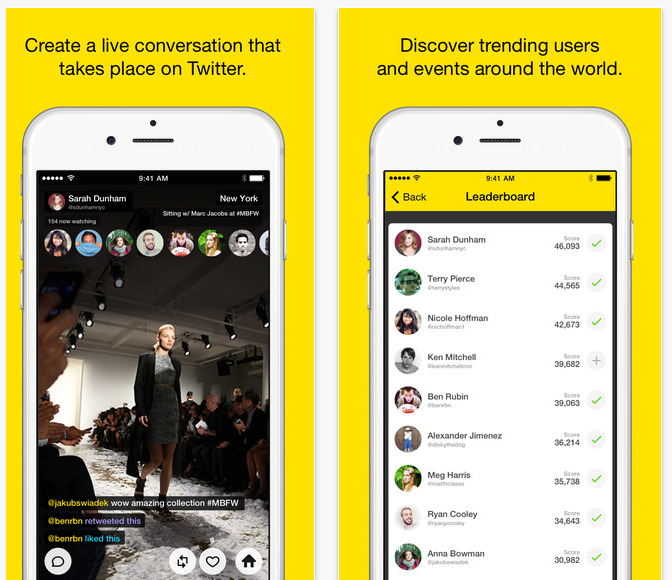 Because it piggybacks onto your already existing Twitter network, Meerkat has no barriers to entry. Your current followers will see whatever you are broadcasting. Compared to prior technologies, it elevates a time-delayed recording or a static photograph into an instantaneous, interpersonal communication. 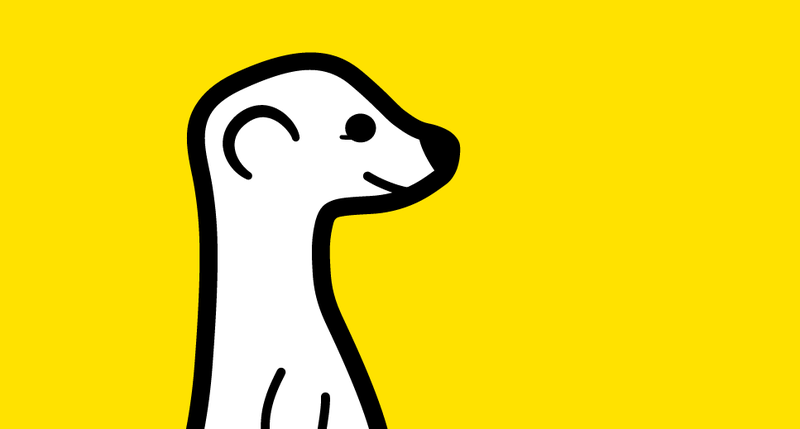 Meerkat follows the same privacy safeguards as Twitter. There are, however, potential risks in welcoming Meerkat into the classroom. These concerns echo similar abuse of apps like SnapChat, Yik Yak, and others, but to a possibly magnified degree. For example, if a student were to broadcast live video from the locker room, or during an altercation, or without peer permission, it could lead to serious ramifications. Like all use of social media, though, regular and meaningful education regarding digital citizenship can help young people avoid improper usage and instead reap the benefits of its learning potential. 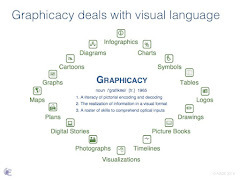 What Is Graphicacy? from The ASIDE Blog on Vimeo. We live in a visual world. Smartphones, television, Internet, and social media all push information in real-time, all the time. Visual media bombard us in constant streams. Learners of every age, therefore, need to understand how to analyze pictorial information. 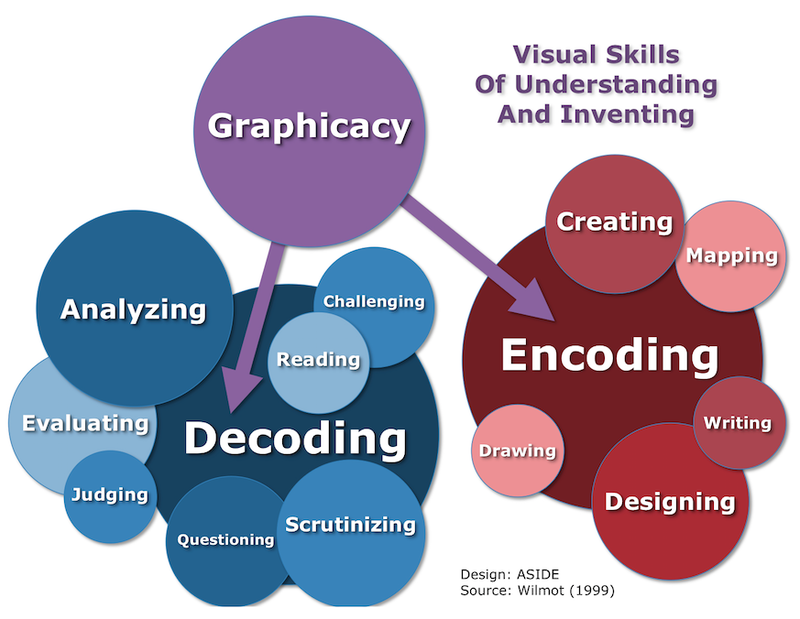 This skill of parsing images, interpreting pictures, and decoding diagrams is known as graphicacy. The motion graphic (or explainer video) in this post describes the many reasons for graphicacy education. Maps, cartoons, and photographs all feature symbolic cues and metaphoric elements. 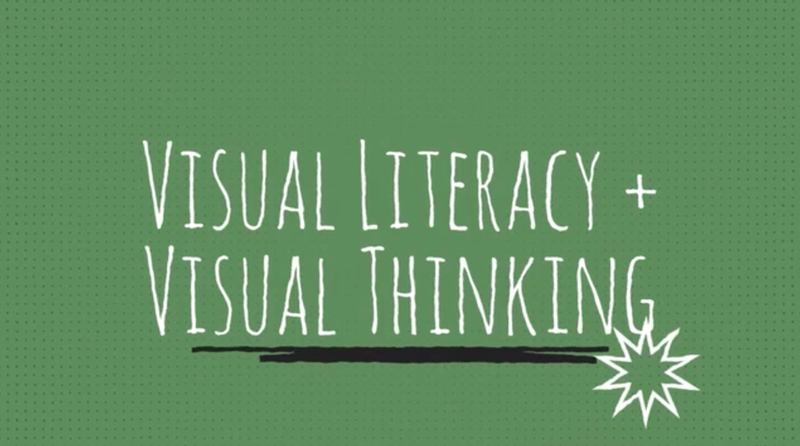 An animated infographic itself can become a conduit for graphic instruction. Sixty-five percent of people today identify as visual learners. In fact, the brain processes optic inputs 60,000 times faster than text. Yet schools and scholarship rarely apply the tools and time to train people how to understand all of these visual streams. Is There A Visual Thinking App? The Currency Of Fairness — Why Aren't Women Allowed On The $20 Bill? Who is on the 10 dollar bill? Who is on the 100? The 1,000? 10,000? For the record, it's Alexander Hamilton, Benjamin Franklin, Grover Cleveland, and Salmon P. Chase. Only one of them is a president, and he's an admittedly lesser known Chief Executive. 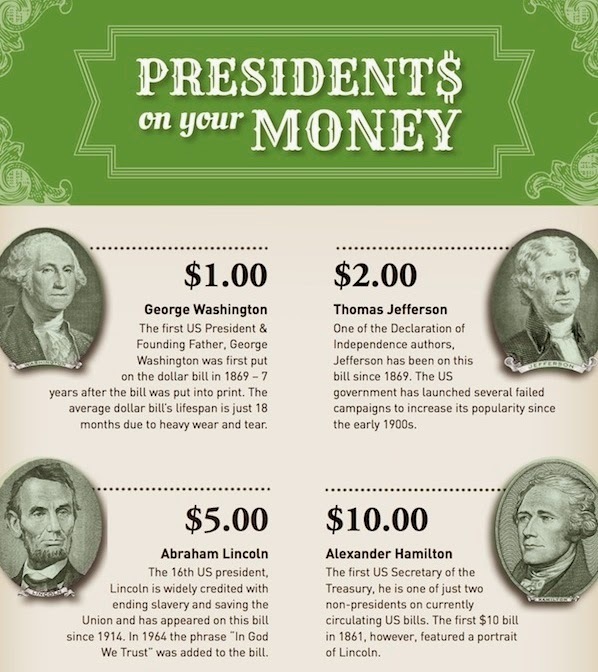 Most Americans use coins and dollars every day, but they can't tell you whose faces occupy their notes. Most people know who's on the penny (Abraham Lincoln), but they can't name who is on the dime (Franklin D. Roosevelt). The one thing, however, that all Americans intuitively know is that all of these etched and sketched faces are of white men. Why aren't there any women on U.S. bills? Especially today, as the U.S. Mint is rotating images in its 50 State Quarters and its President $1 Coins, it seems inexcusable that none of the nation's women leaders are celebrated on our currency. One group is trying to change this — and they're getting a lot of buzz. News stories this week featured the organization "Women On 20s," which is trying to replace Andrew Jackson on the 20 dollar bill with one of 15 inspiring women who championed freedom, voting, rights, medicine, and justice. Although Jackson's legacy reaches to the War Of 1812 and Big Block Of Cheese Day, he is largely remembered for leading the Trail Of Tears and the Indian Removal Act. Surely the country can honor a hero who did more to elevate the progress of the aspirational. March is Women's History Month. The conversation around women's exclusion from patriotic displays is critical toward continuing the conversations about equality. This campaign, led by Barbara Ortiz Howard, is trying to gain enough signatures on its petition to inspire action by the White House. 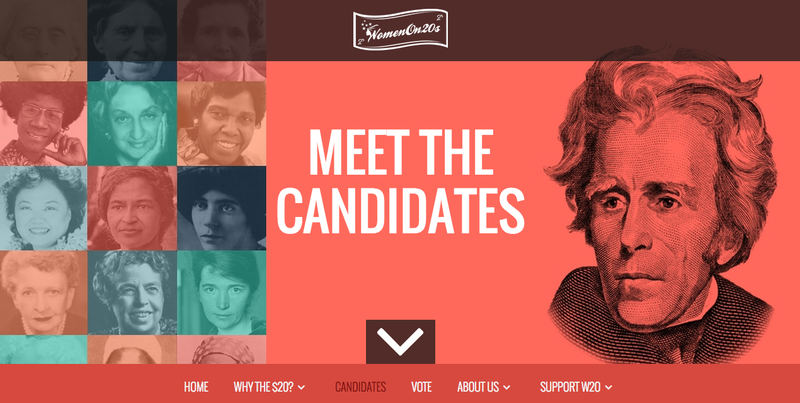 You can vote for the candidates and add your name to the petition at the website. The spotlight on the 20 dollar bill's likeness offers a valuable opportunity to blend in other activities about financial literacy. This moment invites relevant lessons in elements of U.S. currency, including national leadership, image symbolism, Latin mottos, serial numbers, Treasury secretaries, counterfeit prevention, the U.S. Mint, and the Federal Reserve. Most NCAA athletes are failures. They don't win the championship. They don't enter the pros. They don't take home a trophy at the end of the season. Only a handful of elite programs reap the acclaim and hardware that accompanies major spectacles like the men's NCAA basketball tournament. Most Division I, II, and III competitors are well-rounded college students giving a tremendous amount of effort for the love of their sport and their college. Just watching one game of the March Madness media blitz is enough to make even a non-fan sympathetic to the kids with their heads hung low after a devastating loss. Anyone in an office pool knows that their bracket will be busted after the first weekend. There are no trophies for participation. Yet these are the moments that turn kids into adults, that enforce life lessons of diligence and duty, grit and grace. That's why the March Madness tournament offers a great chance to talk to students about failure, about perseverance, and about process over product. 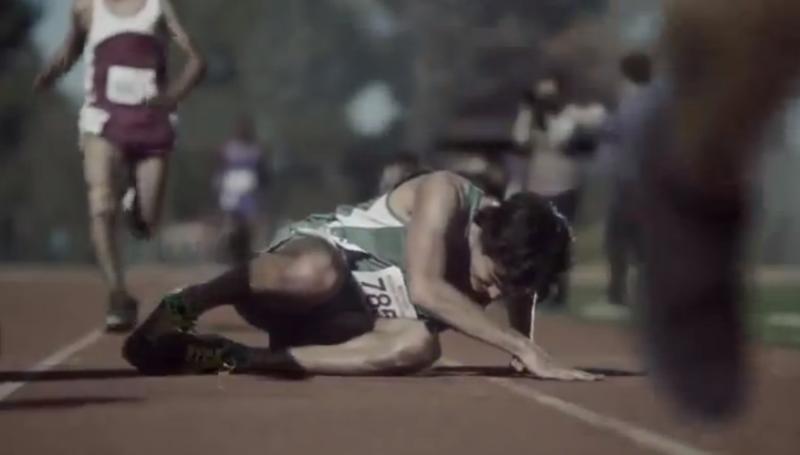 Ad agency Leo Burnett produced an award-winning TV spot for the NCAA last year called "Cheer." Since then, its aired over 850 times, and it's in heavy rotation again this week. It's easy to see why. The ad is a brief masterpiece of narration and language to encourage everyone — athletes, kids, and adults — to relish the stumbles of life and the tears of as-yet-unmet goals. As the transcript reads, these moments turn disappointed players into "the provoked, the determined, the unified." Teachers talk a lot about failure with their students, about the unreachable expectation of perfection and the inescapable necessity of hard work. This ad is a perfect companion for homeroom discussions, circle time, advisory conferences, or recess pick-me-ups. For more ideas about teaching with the NCAA tournament, check out: "March Madness In The Classroom — Teaching With Tournament Graphics." 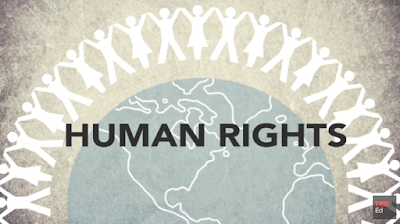 SXSWEdu 2015: Education For All - How Far Have We Come? An important and undeniable thrust of the 2015 SXSWEdu conference has been the attempt to reconcile the nation's educational inequalities. Marquee panels and sofa conversations alike have centered on this notion of access – access to college, to technology, to careers, to mentors, to professional development, to contemporary learning tools. Last night's reception at the Lyndon Baines Johnson Presidential Library made this theme immediate in bringing together historians and educators to commemorate the 50th anniversary of the Voting Rights Act. This morning, Second Lady Of The United States Dr. Jill Biden kept this dialogue moving forward in leading a summit by the Bill & Melinda Gates Foundation about redesigning higher education to fuel student success. Dr. Biden noted that education is the great equalizer, the basis for a better life. For this reason, she stressed, "Teaching is not what I do. It's who I am." A panel discussion later with Jamie Casap, Timothy Jones, and Isis Stephanie Cerda focused more intently on the need for diversity within educational technology. Similar messages emerged in workshops on "Equal Opportunity For Deeper Learning," "My Brother's Keeper: One Year Later," and "Teaching A New Narrative For Black Male Achievement." An equally critical thread appeared in the number of talks about empowering girls and women in technology and entrepreneurship. 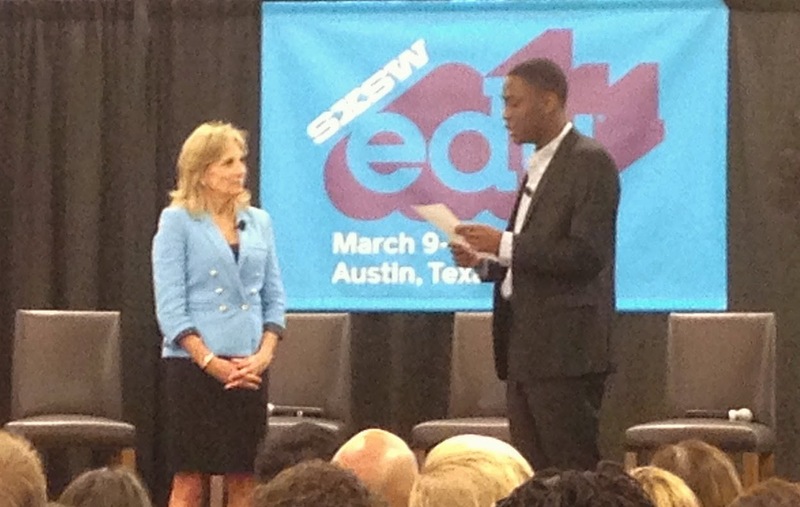 For example, EdTechWomen was named this year's official SXSWEdu Change Maker. Other titles included: "Women Disruptors 2.0," "Paying It Forward: Leveraging Today's Female Voice," "Empowering Girls And Women To Lead," "Digital Diversity: Minority Women In EdTech," and "EdTech For Educational Inclusion." Another highlight of the day was Kristin Ziemke’s and Cheryl Boes’ presentation of innovative project examples to engage young learners with voice, choice, and audience. 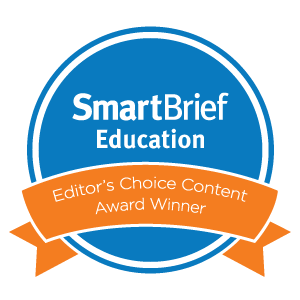 Their use of easy apps and elementary blogging revealed the many avenues that let children demonstrate understanding in exciting, authentic ways. A later workshop featured a panel of thought leaders who promoted creativity in schools. They championed "less talking and more doing." The speakers paraded both theoretical and tangible ways to inspire kids as imaginative thinkers. As Jonathan Plucker, Professor at the University Of Connecticut, noted, “creativity is about constraints.” A teacher’s task, therefore, is to help students identify constraints and then decide which ones to get rid of, which ones to ignore, and which ones to live with. SXSWEdu 2015: The Boy Who Beeps - Who Can Speak The Language Of EdTech? 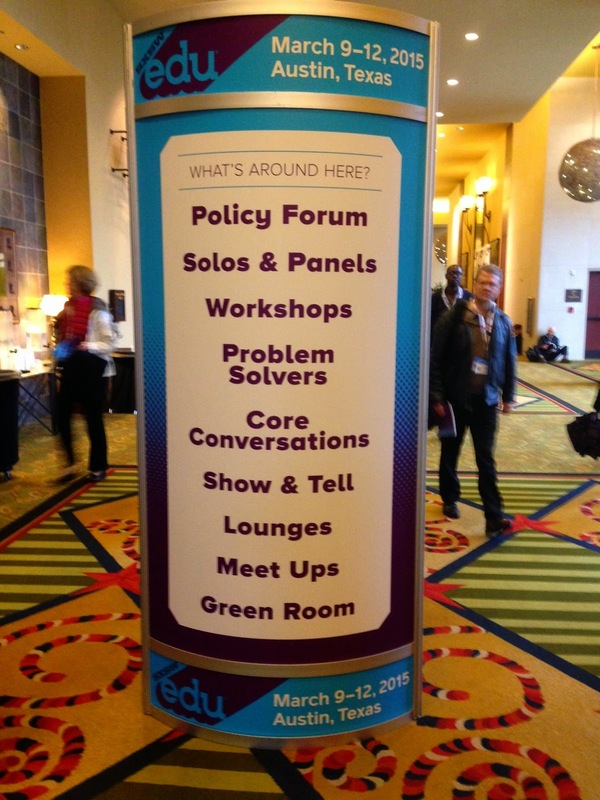 Now in its fifth year, the 2015 SXSWEdu rally in the Texas midland is more inclusive than ever. The panelpicker judges eschewed trendy topics like flipped learning and Big Data in favor of deeper discussions about Social Emotional Learning and Gamification. Major themes that ran through the first day included programming in schools, authentic PBL, and contemporary professional development. A major highlight of the day was hearing about the impressive Coded Curriculum implemented by Beaver Country Day School in Chestnut Hill, Massachusetts. The school has embraced a "launch / test / refine" approach to incorporate coding into every academic discipline. The faculty actively seeks to "make excellent mistakes" as they teach children the "New Basics" of open-ended problem solving, non-linear thinking, and collaboration. Another centerpiece of the sessions was Sunni Brown's mesmerizing workshop about "how to stay curious." A guru of visual thinking and a doctor of doodling, Brown reminded the crowd that visual language is a river native to cultures across the world that instills a powerful cognitive awareness. The spirit of sharing was genuine today at SXSWEdu. Every attendee was universally open and eager to connect. Yet a question kept trickling through the meandering hallways like the incessant drip of Austin’s rain: How many actual classroom teachers were present at the conference? When Brown asked how many classroom educators were in the room, fewer than ten percent among the hundreds raised their hands. Throughout the day, we met: an online charter school principal, a start-up edupreneur, an NAACP coordinator, a not-for-profit founder, an NEA staffer, a Museum and Library Services researcher, a corporate communications director, a Learning Sciences professor, a former math instructor in Ethiopia, and a doctoral candidate who moonlights at Khan Academy. We met other interesting people, too, but we did not meet one classroom teacher. We know they were there. But they seemed few and far between. Maybe this is a good thing. 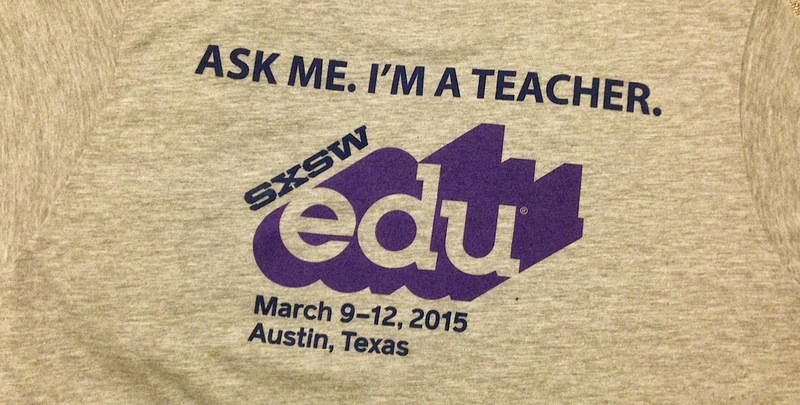 Maybe it signals that SXSWEdu is not for everyday teachers. Maybe the passionate attendees perceive a sea change in education that is more galvanizing than "regular" teachers can see. Or maybe not. Either way, it speaks to a road diverging in a not-yet-understood wood. If start-ups and online outlets are careening onto their own edtech on-ramp, what happens to the students and teachers driving in the HOV lane? For example, after participating in one session about a full-scale coding curriculum pushed across all disciplines, we attended a completely different panel about whether edtech really offers any solution at all. It feels strange that this question is still being asked: Is edtech a panacea or a distraction? The nuanced nature of this tacit tech tug-of-war reminded us of a General Electric ad from September 2014 called "The Boy Who Beeps." The touching ad follows the birth of a baby who can speak the language of technology. The commercial intends to tout GE's omnipresence in electronics, but to us it highlighted the children today who are always plugged in, always wired. Kids are born who can seemingly speak to machines, communicate with the digital world, control their own access to e-learning. What happens, though, when their days become disconnected? Can they muster the skills to navigate a tangible, interpersonal world? Or better yet, can they make things, create their own machines? Are they controlled by the very machines they rely on? And what about children who don’t have machines? In the edtech learning space, are there start-ups who talk only to machines – and not to educators? And what about the teachers who cannot (or will not) talk to machines, who can’t negotiate the apps and iPads filling their classes? By the end of today, we were encouraged. 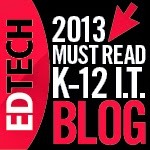 We decided that educators are indeed emerging as a potent force in the digital economy. American Federation Of Teachers President Randi Weingarten noted a change since last year's SXSWEdu. She now hears tech companies asking, “How can we get teachers involved in the process?” She emphasized that with the onslaught of shiny edtech tools, the best advice is to know how to teach first, and to learn to use technology second. Brown echoed the same, saying that digital tools are great, but they're not worth much if we can't use them. The learning is the key. We have another snow day today. The relentless snow this winter has forced many schools into crisis mode. Teachers are panicking about missed curriculum and make-up days. But with today’s access to mobile technology, shouldn’t there be a middle ground between all or nothing learning? Genuine remote learning should be a regular practice, not just a prediction. 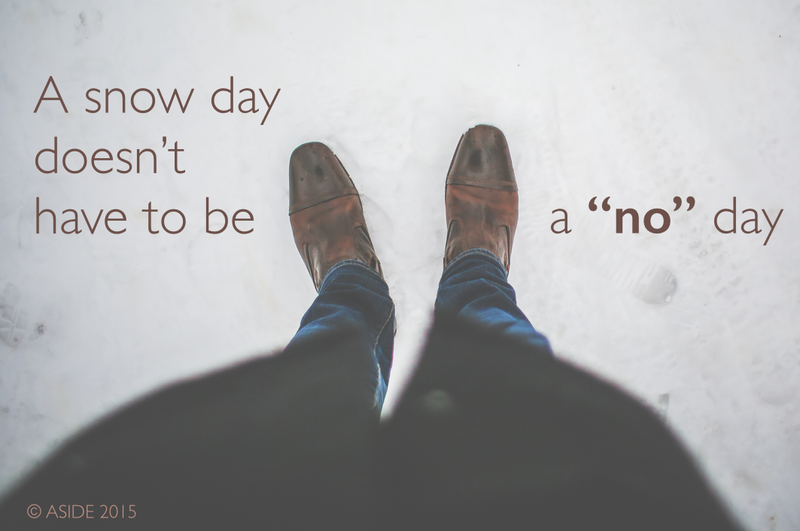 Even amid record-breaking blizzards, a snow day shouldn't have to be a “no” day. Students frequently get sick and miss school. Consider, too, how many times you've seen a kid in your classroom who really shouldn’t be there. He has his head down, or has bags under his eyes, or has his mind clearly elsewhere. How many times have you noticed a student who truly needs a break? She's been burning the candle at both ends, or has been bearing the weight of a bully, or has been negotiating a tough family situation. A kid sometimes needs a personal day. It used to be that a student’s absence meant a day of missed learning. Today, this not only seems strange, it seems unforgivable. For parents, “working from home” is a common occurrence. Many companies have no problem with their employees telecommuting at a distance, staying in contact via phone, email, and instant message. 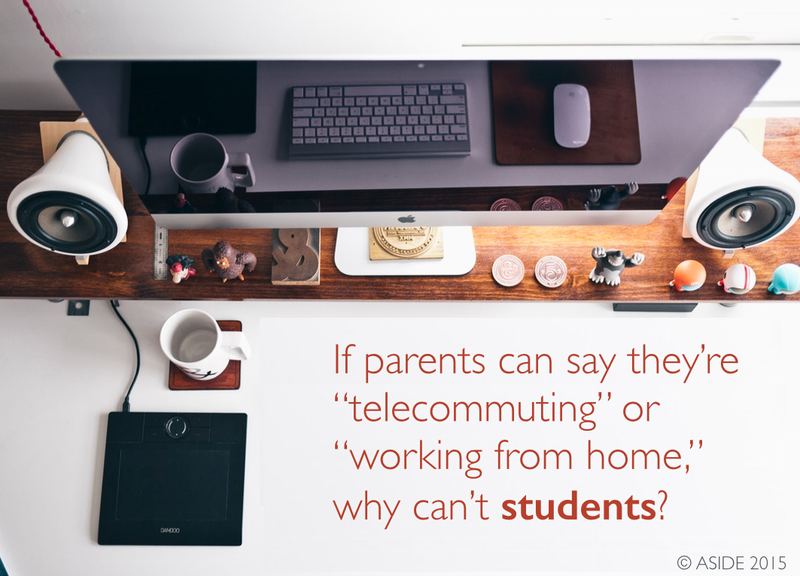 With all of the dynamic digital tools available to schools today, why can’t students work from home? Many teachers post all of their assignments online anyway. Video conferencing and social media and collaborative documents all offer easy avenues to engage a class of home-bound learners. Many teachers use these resources daily inside of the classroom. Why can’t these tools also be tapped to coordinate a corps of kids, either in real-time or at the students’ own paces? Backchanneling, for example, has emerged as a valuable way to invite feedback and questions during an in-class lesson. 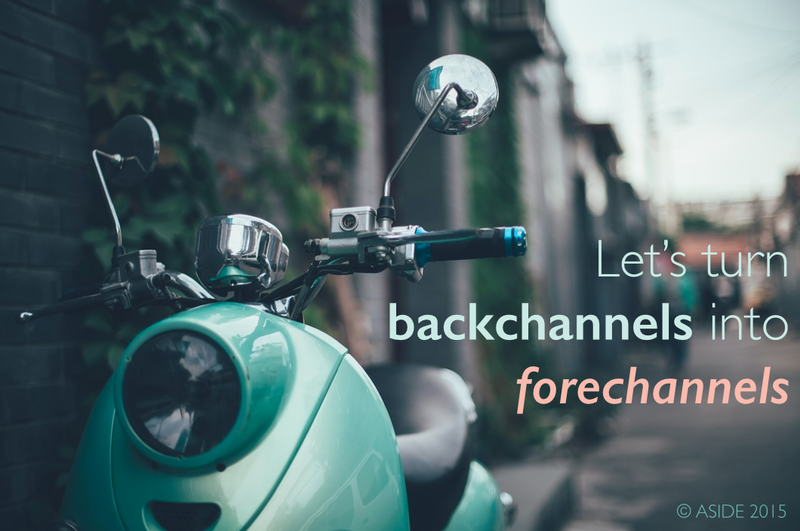 If we can turn backchannels into forechannels, then we can transform these supplemental tools into primary vehicles for distance education. TodaysMeet - The leading real-time channel, TodaysMeet creates discussion groups for instant message communication. Twitter - The ultimate social media tool for education, Twitter mimics the classroom environment with chats, text, links, images, and videos. Croak.it - Both teachers and students can create a 30-second audio file with a url that can be embedded in a backchannel, website, or tweet. Remind - This free way for teachers to text students protects everyone's privacy and instantly reaches kids on their phones. Cel.ly - Cel.ly creates individual social networks via its texting feature that can be moderated directly from a smartphone. Verso - Flipped learning with Verso can include videos, images, or links in self-contained classes with rich commenting features. eduCanon - This site collects videos from across the web and allows teachers to add flipped learning elements. EDpuzzle - Teachers can crop videos and add questions and explanations to fit any age group. Zaption - Zaption makes videos interactive by adding assessments. audioBoom - Teachers can record podcasts to pass lessons on to students, and kids can capture their own answers, readings, or projects. Nearpod - The teacher guides the presentation, and students on their own devices see the slides progress as they interact from anywhere with polls and assessments. Issuu - Intended to publish webzines, Issuu turns any .pdf into a scrolling web document for students to read and save at their leisure. iBooks Author - The ability to publish customized content on iBooks is becoming easier and easier. Wikispaces - Still one of the most flexible platforms for a class website, Wikispaces accepts any media and any embedded content. Skype - Teachers can broadcast themselves in full video and audio to reach students in their homes. Facetime - As more and more schools opt for iPads and Apple TVs, Facetime provides an easy way to videoconference. Google+ Hangouts - Multiple participants from any device can come together in a live-streaming video chat. Google Docs - Google Drive keeps getting better and better, and the real-time collaboration is still the industry standard for essays, presentations, and spreadsheets. Padlet - Padlet is an infinitely customizable public space with customized urls to post text, links, images, videos, and student projects. Dropbox - The larger storage capacity of Dropbox makes it ideal for file-sharing. Email - When in doubt, simple email can allow students and teachers to swap instructions, questions, and assignments.